Under the Sky: C is for Creation through the Fall of Rome! We are at the end of our history year. We have covered so many different times, places, people, and events. It has been a wild ride! 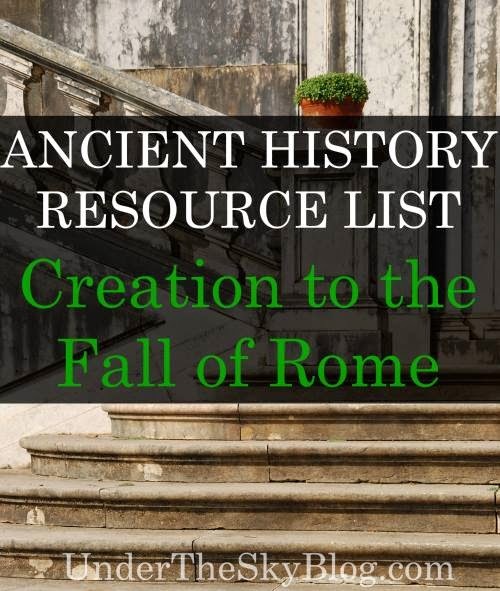 To go from creation all the way through the fall of Rome - that's a lot of stories of men, women, children, and ancient life. It is a little haunting to me because there is no way to cover all the things I want to cover, no way to meet all the people I wanted to meet, and no way to visit all the cities, temples, rivers, villas, mountains, and homes I really wanted to visit with my children. History really is HIS story, but it is His story working among men and women, times and places, and in each and every life that has ever lived. And we are only up to circa 400 AD! This week, we ended our long study with a Timeline Challenge. 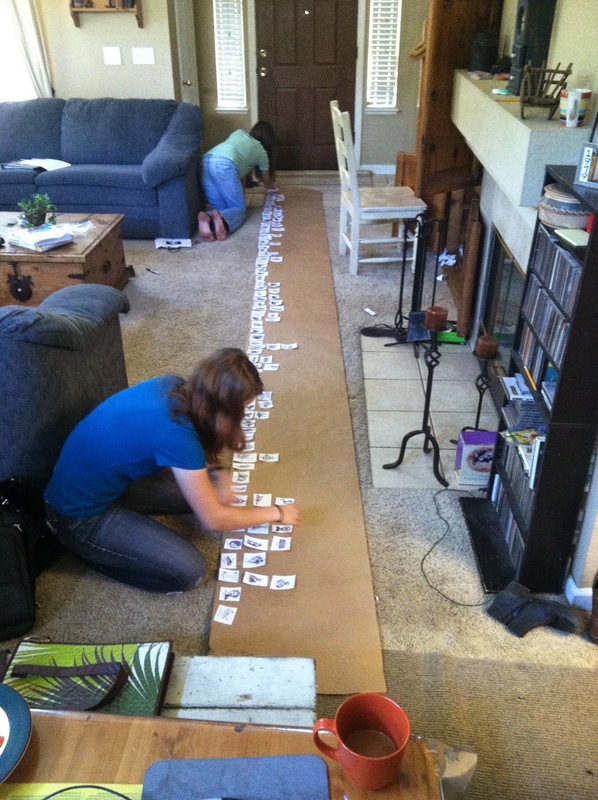 I printed off page after page of my Home School in the Woods, Timeline Figures, and unrolled a long piece of butcher paper. 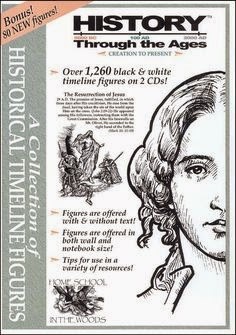 Each of these timeline figures represents an important event or person and has the date. That didn't make it much easier as I cut out 115 figures and handed them out, entirely mixed up, to all eight kids and told them to get going! 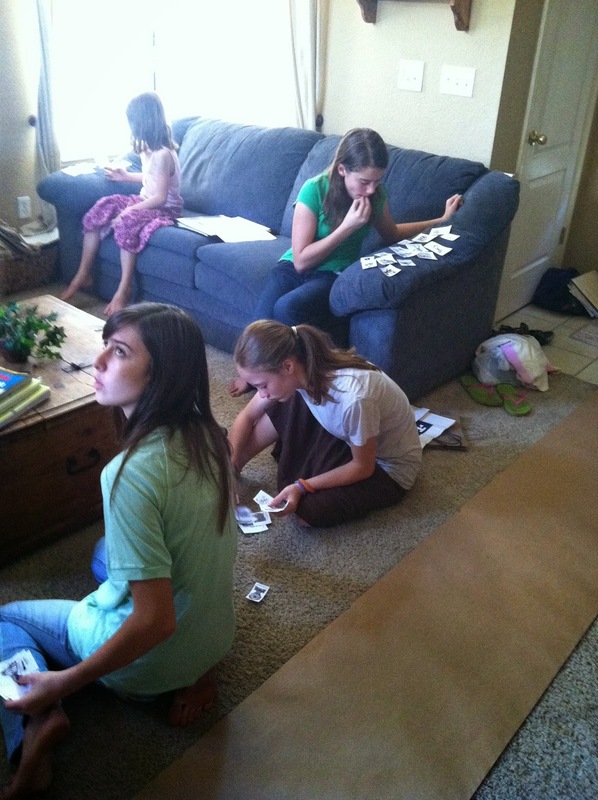 Here they are sorting the figures. Here they are starting to place them on the timeline. It took a lot of team work, and then at the last, the work of the two most dedicated. It was really neat to see at the end! We covered so much this year, and this was only a little bit of the whole. 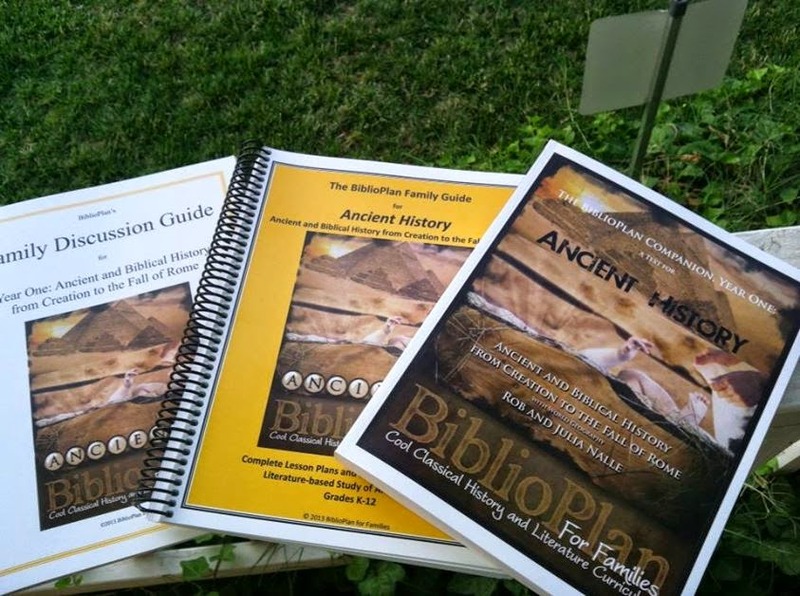 Ancient Civilizations and the Bible from Diana Waring Presents! Great video and info on the eruption of Mount Vesuvius. Persecution under Roman rulers. There are some powerful stories linked here! Etruscan video and information in this post. 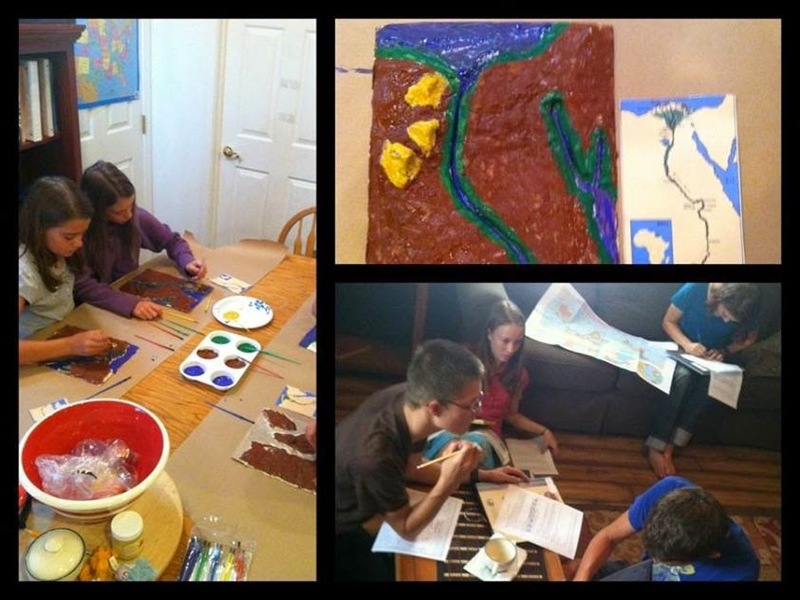 The Truth of Troy (video at link) and making cookie maps of Greece. Delicious! The Assyrian ~ Samaritan connection. Fascinating! (These are *so* useful! From full coloring pages to wall-sized timeline figures to the small ones you see in the photo above--you can use these in so many ways from your little ones all the way up through high school. There were other resources we used, I know, but today, I cannot remember any more than this. 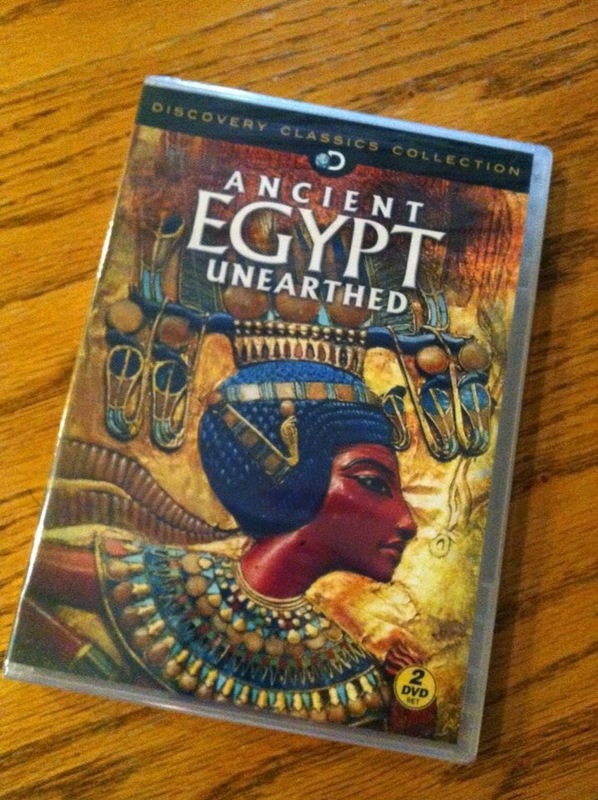 I hope these give you some ideas and help get you going on your own ancient history journey! 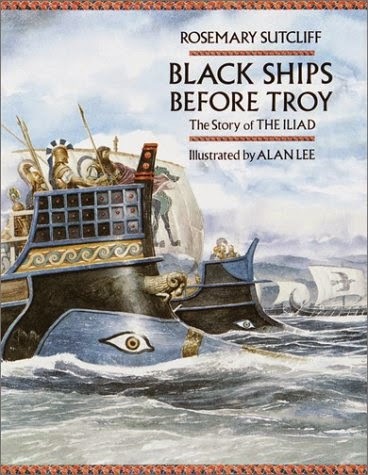 Studying this time period is one of the most fascinating of all. Ancient times and places - they hold magic that has yet to even be discovered by archaeologists. I can't wait to find out in the future! All great resources. Thanks for sharing them with us. Thank you for sharing so many wonderful links and resources. It looks like you had an amazing year of history learning.